I do love the Apple iPad as a device for board games. 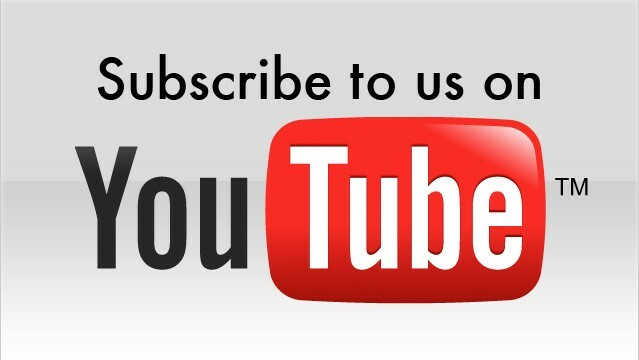 In fact, it is easily the best option for the genre, with a significantly greater variety available on Apple's tablet for fans than any other platform out there. It is, in fact, the default platform for most board game adaptations these days. Related reading: For a brilliant digital board game that doesn't have a physical equivalent, check out Armello. With that comes competition, however, and with the sheer quality of titles such as Ticket to Ride, Lords of Waterdeep and Warhammer Quest, it is becoming increasingly difficult for a new board game to actually stand out. Expectations around production values aside, the sheer mass of board games available on iPad means that only those games that are already popular and well-regarded have a genuine opportunity to strike it big with their digital adaptation. Le Havre: The Inland Port (which, just to be confusing, is not the same game as Le Havre: The Harbour, which has been on iOS for a few years now) is a good example of the challenge that board games now struggle with when it comes time to adapt them to the iPad. It's a good game - really good, in fact - but relatively limited in scope, and the presentation, clean as it is, lacks the oomph that we see with some of the top tier examples of the genre. 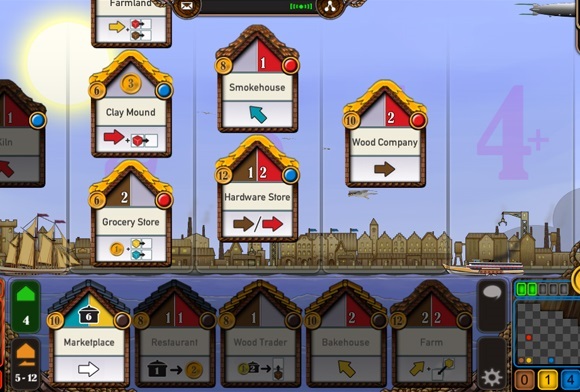 La Havre is a two-player Eurogame board game. As anyone who has played a Eurogame knows, this means that it's a relatively non-competitive one; players take turns to try and build up a harbour business, and the one who has done the best job of doing that by the end is the winner. With minimal room to sabotage your opponent, success at La Havre is more a consequence of careful individual strategizing than combative aggression, and as there isn't a single roll of the dice involved in the game, a well-planned strategy can't be ruined by some wayward luck. There's a comprehensive tutorial built into the game, which will get any players up to speed with the flow of the game in around 15 minutes. As with any Eurogame, La Havre is ridiculously easy to learn, but on any given turn you'll be presented with enough options that actually mastering the strategy is challenging. Essentially the flow of the game has players taking turns to either build a new building (costing resources, in exchange for making that building available in the main play area), or collecting resources from a building in the main play area. 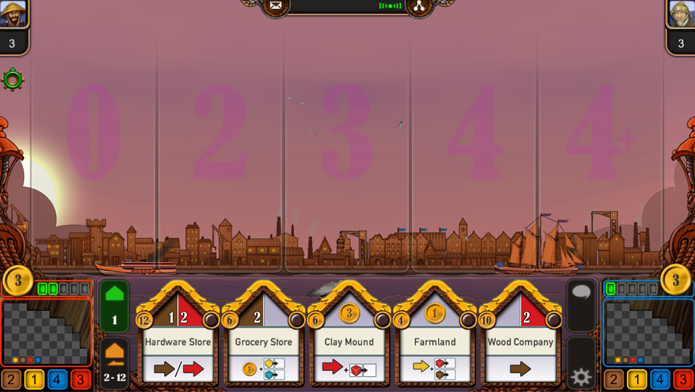 With each turn a building accumulates more resources, so it might make strategic sense to wait for a couple of turns before tapping a building, however, should your opponent grab the resources instead, you're out of luck (and this is one of the very few ways a player can sabotage the game of another player). Understanding how to maximise the flow of resources is key to success in Le Havre, and there's a neat little economic model underpinning the whole game that will be both familiar and endearing to people who have played enough Eurogames. Unsurprisingly, as a board game, multiplayer is very much the focus. There are a handful of AI opponents to hone your skills with, but soon enough you'll want to venture into the games play-by-email online experience. 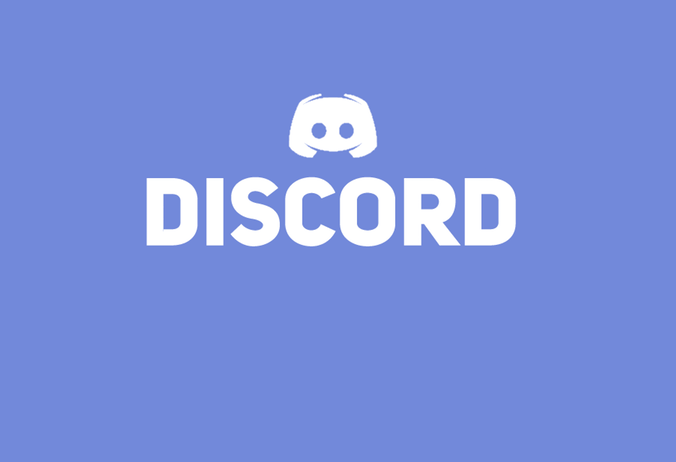 As a play-by-email game, the typical match will take a couple of days (unless you and your opponent both commit to staying online and playing it through in one go), which I know grates with some people, but it really is the optimal way to play turn based board games online, hearkening back to the days of old where people would mail letters to one another with chess turns printed on them. There's also a local multiplayer mode, and I always find digital board games like this perfect for passing the time when travelling longer distances (for example, on a plane). Related reading: One of the best iPad board games is Agricola. Check Matt's full review out here. However, as this is strictly a two player game, there are a couple of issues with it; firstly, even by Eurogame standards it's not very competitive. When a group of four players are playing Agricola, there is a real tension in making decisions about what to build and what resources to collect, as you will know full well that there are a bunch of people after the same resources that you are. When there are only two players, the pressure on being the first to grab resources is much lessened, and there is usually an alternative even if the other player does grab something that you're after. That issue aside, Le Havre is a remarkably pleasant game, with elegant, minimalist visuals, an uncluttered interface (which I felt let the game's more complex but thematically similar sister, Puerto Rico, down, by being far too messy), and games are over in 15 or so minutes. It's the kind of Sunday morning game you might play while sipping through a coffee because you're feeling lazy and relaxed. That makes it ultimately forgettable, but entertaining and worth keeping on the iPad nonetheless. 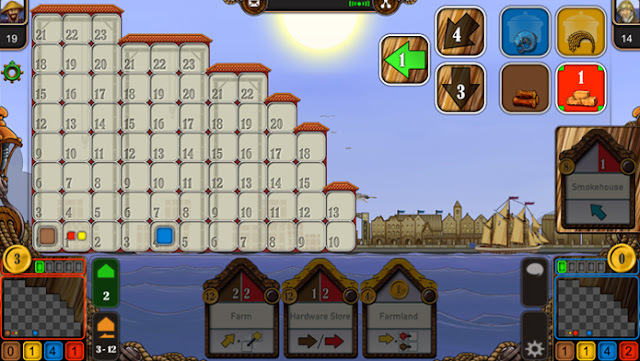 Item Reviewed: Review: Le Havre: The Inland Port (Apple iPad) 9 out of 10 based on 10 ratings. 9 user reviews.